Our Mercedes-Benz service and parts department is committed to providing you with world-class Mercedes-Benz service. 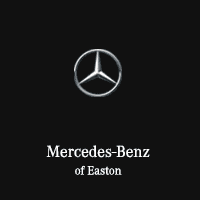 You can always expect high-quality service and genuine OEM auto parts at Mercedes-Benz of Easton. Our Mercedes-Benz certified technicians are here to provide you with the best knowledge and service that will have your Mercedes-Benz running at its peak performance.